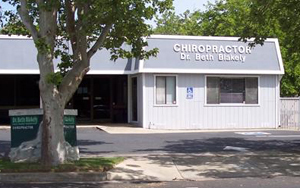 Blakely Chiropractic is a place where genuine, quality chiropractic care and concern for the community is always our highest goal. We pledge to provide the finest chiropractic care in an unsurpassed level of professional care to each patient on each and every contact. Blakely Chiropractic experience promotes confidence and trust and fulfills even the expressed and unexpressed expectations of our patients. Our office is preventive oriented which means that once you are well we want to assist you and your family to continue living your life to the fullest.